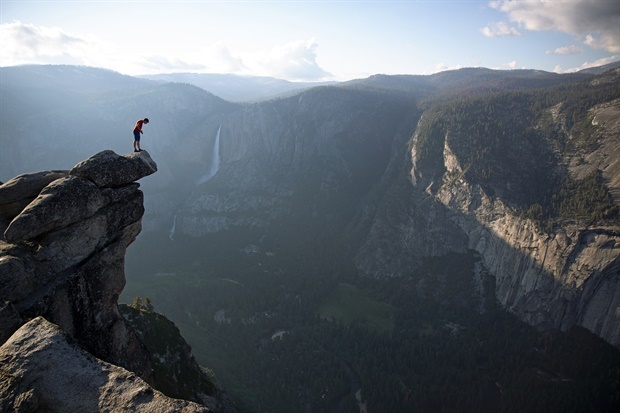 Free solo climber Alex Honnold prepares to become the first person to ever climb the El Capitan vertical rock formation at Yosemite without ropes or safety equipment where one false step could mean his death. Some people find happiness in cultivating relationships and making human connections. Then, there are those who seek happiness and fulfillment by pushing themselves to the edge of their physical limits, going beyond what many thought to be possible, even if it means risking everything. 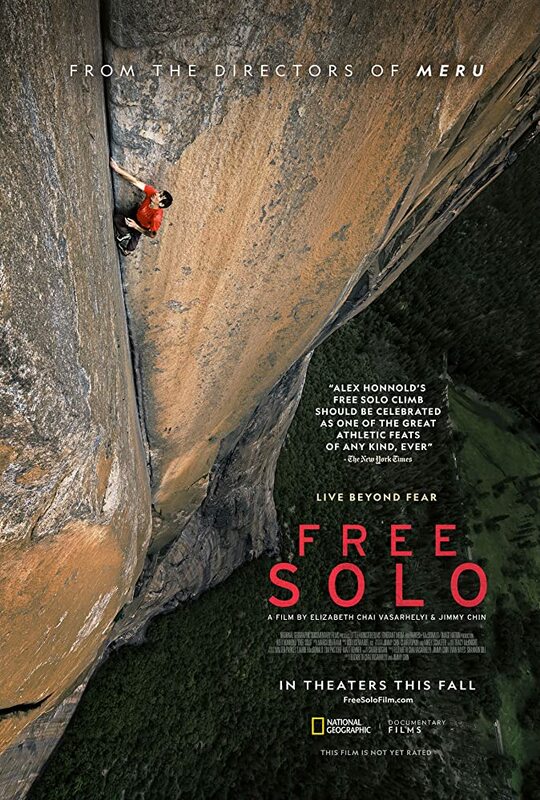 "Free Solo" is a documentary by Jimmy Chin and Elizabeth Chai Vasarhelyi, who previously collaborated on another rock climbing documentary called "Meru." 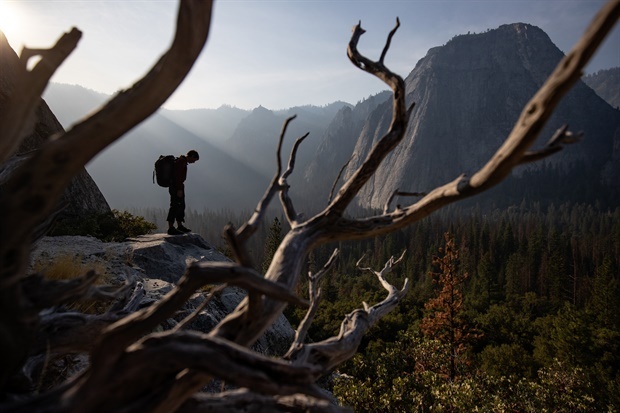 This film follows free climber Alex Honnold through his preparation and attempts to free solo climb the El Capitan rock wall at Yosemite National Park in California. The movie tells a bit of background on Alex, his views on life, and his relationships, which allows the audience to get an idea as to why he does what he does. It also heavily focuses on the planning and preparation that goes into a free solo climb. Of course, we never once forget how dangerous what Alex is about to attempt really is as the movie goes over the scores of free climbers who have died doing what they love. 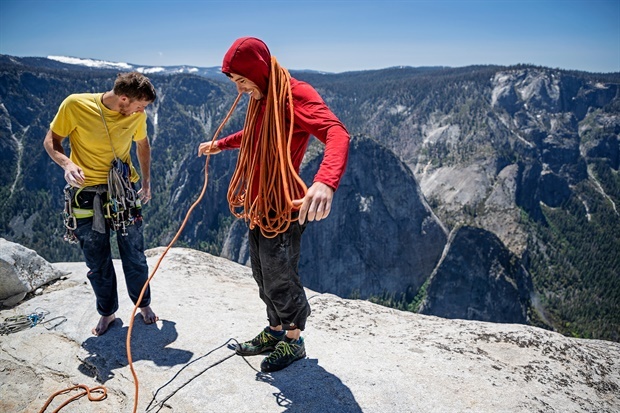 Us, like many others, may look at a man like Alex Honnold and wonder why he would engage in such a dangerous activity. For him and others like him, life is about more than survival, finding comfort, and creating human bonds. It is about living and finding joy in the challenge of testing his limits, even if it means there is a strong chance he might die doing what he loves. Much of the film focuses on Alex as a person. It gives some background on his past accomplishments as a free climber, his views on relationships, and we even get an exploration about whether or not there is something about him internally that makes him seek out dangerous activities. We eventually get to see Alex with his new girlfriend and how being with another person affects his focus on climbing in more ways than he expected. We learn about El Capitan, the routes it contains, and what makes it so deadly to climb without safety gear. It turns out, there are numerous spots on the wall where the grips are only big enough for half of a toe or half of a finger. There are specific parts of the wall with no footholds at all, so tricky kicks and pivoting and maneuvering is required to complete certain sections of it. "Free Solo" was filmed over a very long period of time, so needless to say, there is a lot of build-up as to whether or not Alex will not only climb the wall at all but whether or not he will die trying. The first two portions are interesting, but the movie can get a little tedious because we just wanted to see his final climb so badly! Luckily, the ultimate payoff is fantastic as Alex finally decides to attempt his climb. We didn't know any background on Alex or whether or not he completed his mission, so watching his climb was an intense experience. Our hearts raced as the thought of him falling crept into our minds on more than one occasion. Everything that happens at the beginning of "Free Solo" is worth sitting through to get to the final act. This is a well made, beautiful looking documentary with a compelling subject.